JFC began in 1992 as a small financial services firm. 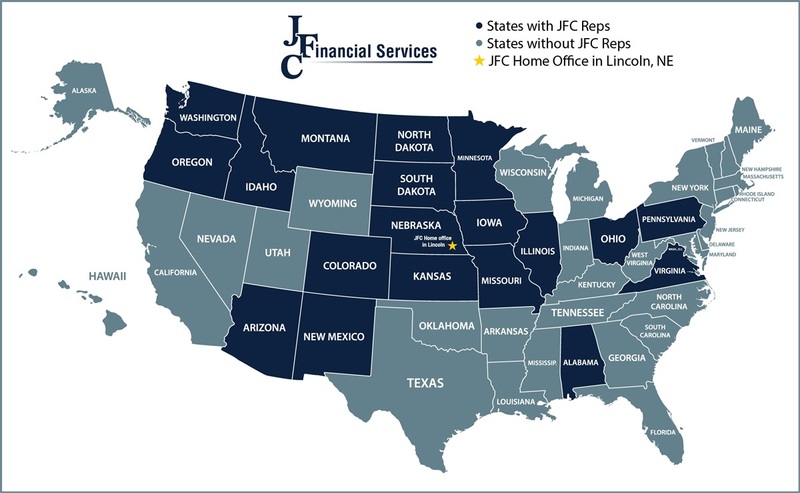 Today, JFC Financial Services supports around 180 independent financial professionals who thrive coast-to-coast; are set up as branch offices and as solo practitioners; and are located in a variety of office environments including financial institutions. JFC offers a full menu of support services so that advisors can focus on serving clients, rather than dealing with operational issues and paperwork. JFC strives to maintain the highest ethical standards and the greatest possible professional competence for the benefit of our advisors. We emphasize exceptional service by effectively utilizing our extensive resources, experience, independence and education. As independent advocates for our advisors, our goal is to be an extra set of eyes and ears for them. We want to anticipate advisors’ needs and solve problems before they arise. We work to meet — and then exceed — our advisors’ expectations.